Where did you go on camp this year? 1st Whittingham turned Viking for the weekend, and headed for the spot where Vikings first invaded England on 8th June 793 AD.– Holy Island, off the coast of Northumberland, where monks were slaughtered and treasures stolen. We circumnavigated the island, trying out our map-reading skills (keeping the sea on our right all the way round was the key!) 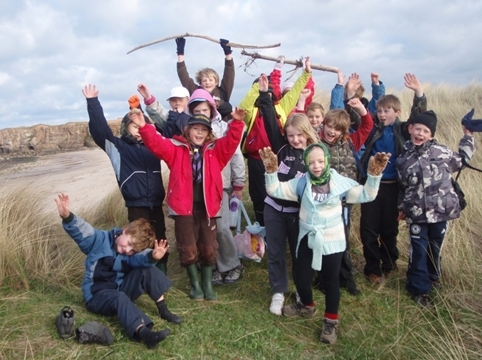 We had to use compasses to navigate through the dunes though! 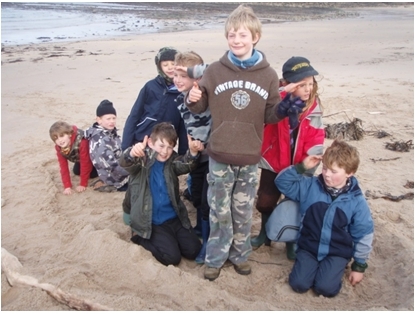 We built long ships on the sand and had a BBQ lunch on the beach. 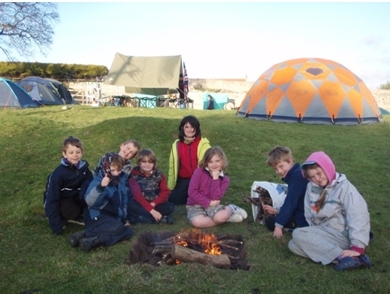 At camp we lit a fire and cooked Viking food – mussels, baked fish in bread and delicious oatcakes. 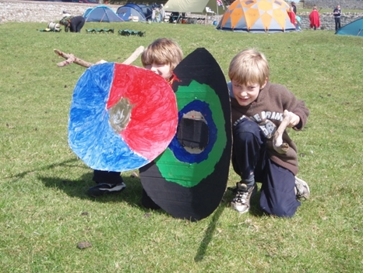 We made Viking shields to protect our camp from invasion! Vikings had little fertile land in Norway, and raided England to farm and trade. They were ruthless warriors, but Whittingham were ready for them!